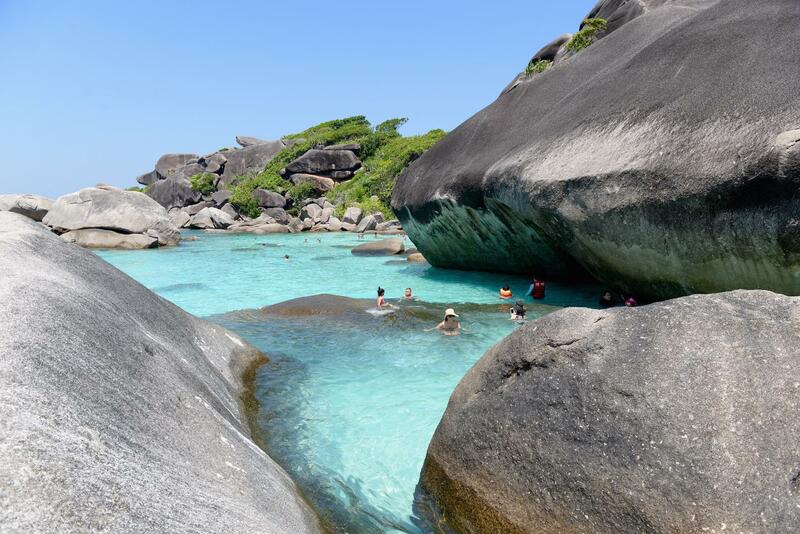 In todays post I want to show you the most amazing islands I ever visited – The Similan Islands. 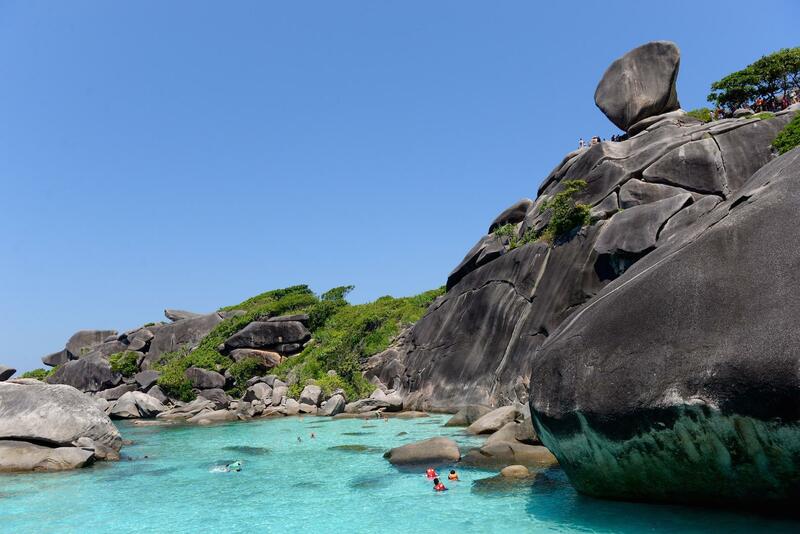 Literally meaning nine islands, which at the time were, but later two more islands were added, so now the Similan Islands encompass 11 islands. 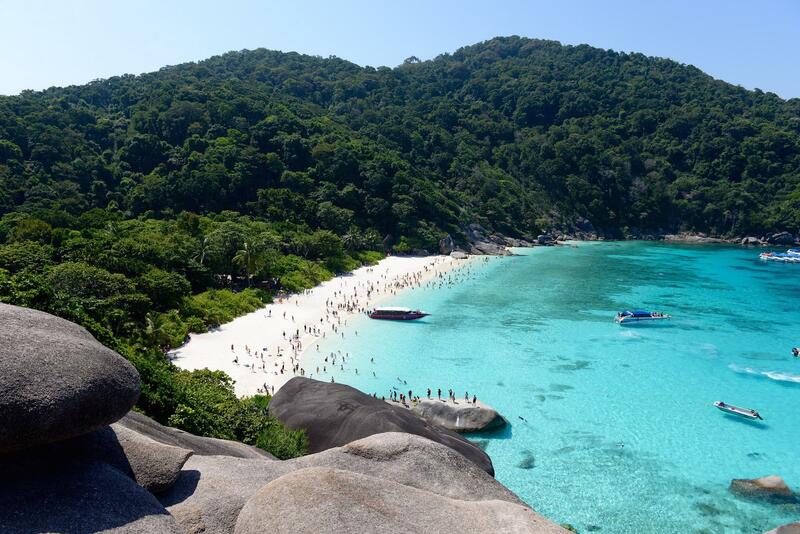 Similan Islands National Park in Thailand. Andaman sea in the Phang Nga Province in the south of Thailand. 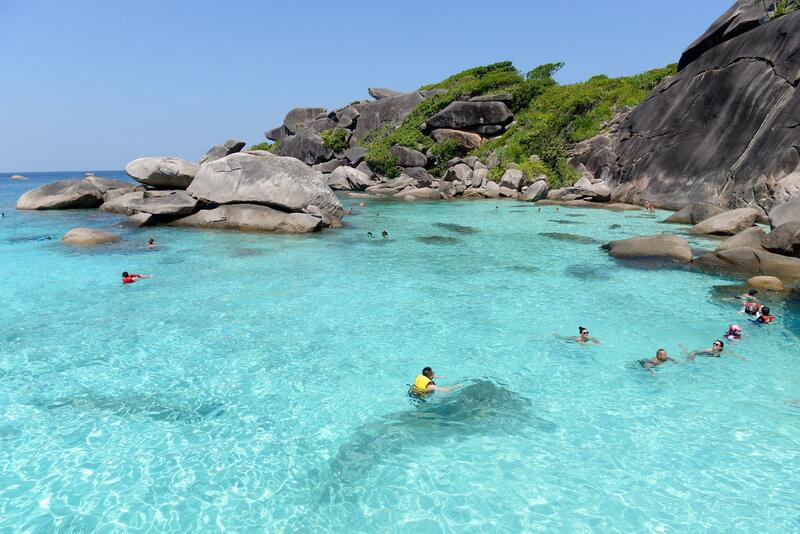 The most common way to visit Similan Islands is to book a day trip from Phuket, from any tour operator. The day trip looks something like this. We were picked up from the hotel at 6am and the drive to the pier, from where all the boats depart takes an hour and a half. The pier is located further up north in Khao Lak area. At the pier we had about an hour for breakfast and then we departed towards the islands. 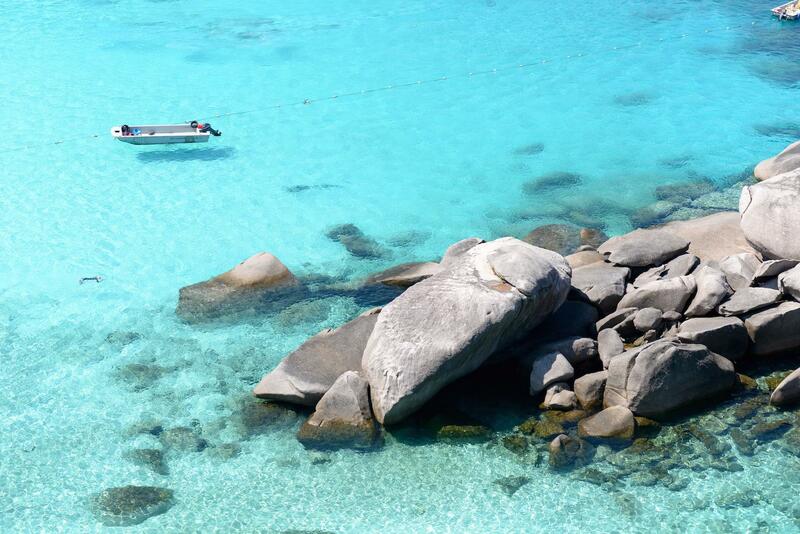 The speedboat ride takes another hour and half and after that you’re in paradise! 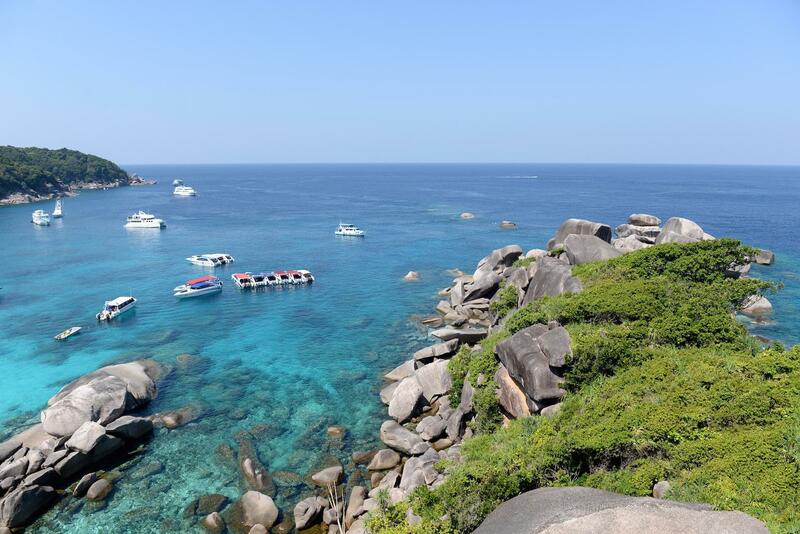 Our first stop was on Koh Similan, the biggest island, the one with the famous rock formations, where we quickly headed to the viewpoint. Later on we explored the island a bit, had lunch and then continued our journey with the boat to do some snorkelling. All together we were supposed to stop three times for snorkelling, however one of the islands was closed for visitors, because the Princess of Thailand was visiting at the time, so we had only two stops for snorkelling. 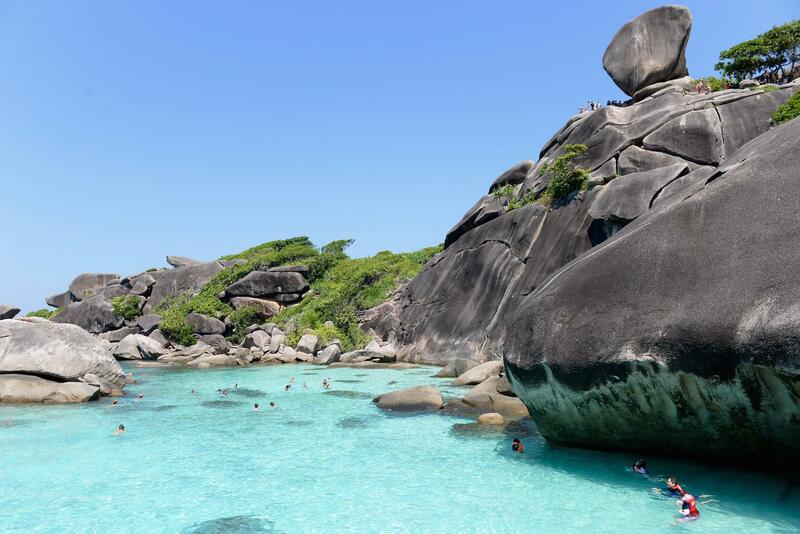 The fact that Similan Islands supposedly have one of the best dive and snorkelling sites in Thailand, I have to say I was a little bit disappointed. 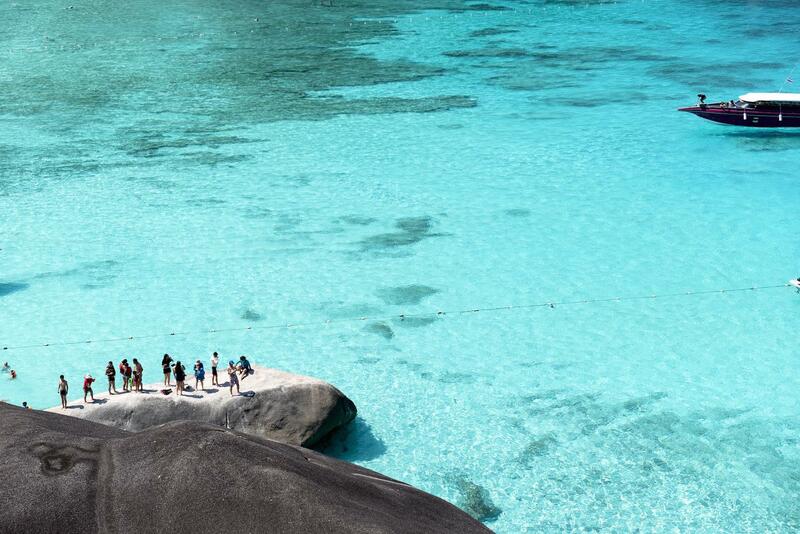 It is a place where you can see everything from manta rays, leopard sharks, whale sharks (very rare! ), to giant barracudas, and so on. However, we saw lots of dead corals, with exception of some colourful fish. These were amazing btw! 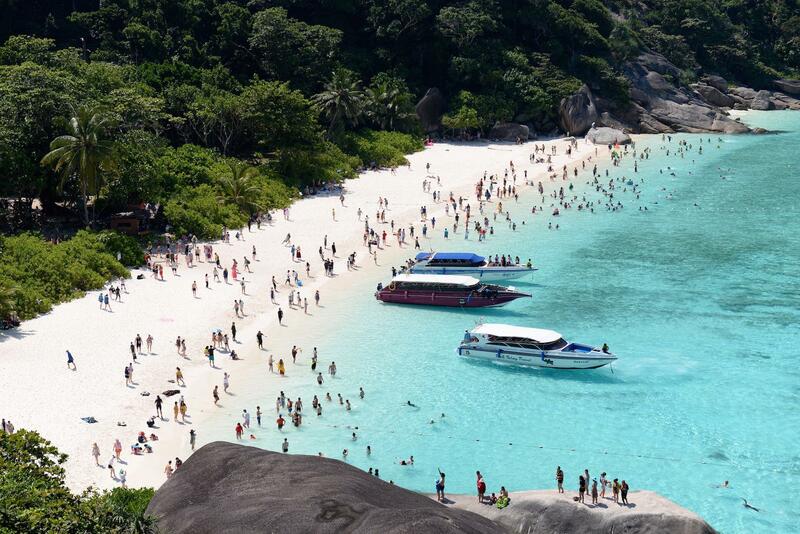 There is a big problem Similan Islands are facing right now, particularly mass tourism destroying the coral reefs and nature. And because of that three island have already been indefinitely closed and some others are also off limits to tourists. Another problem is also illegal fishing during the low season when the park is closed to visitors. The fishing nets often get stuck to coral reefs and consequently damage the extremely diverse marine life. 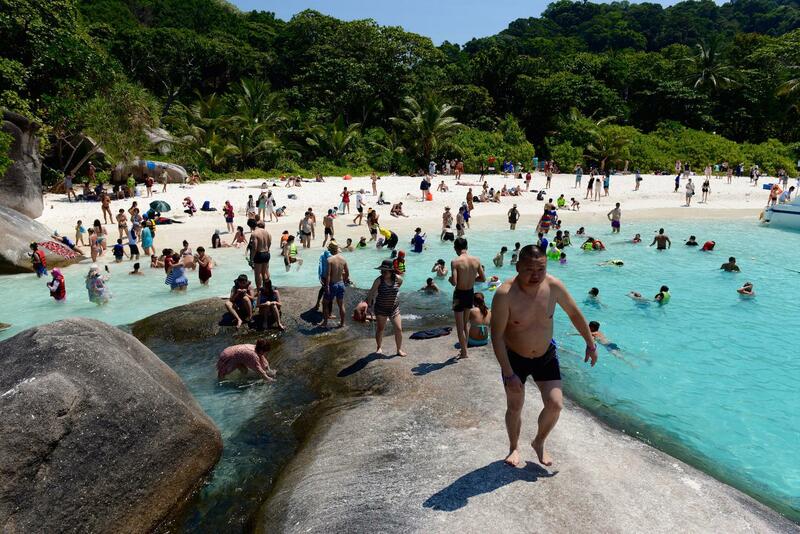 Thai government started taking some actions, like, closing some islands for visitors, but still a lot needs to be done! The abundant marine life shouldn’t be endangered by reckless tourist and illegal fishing. 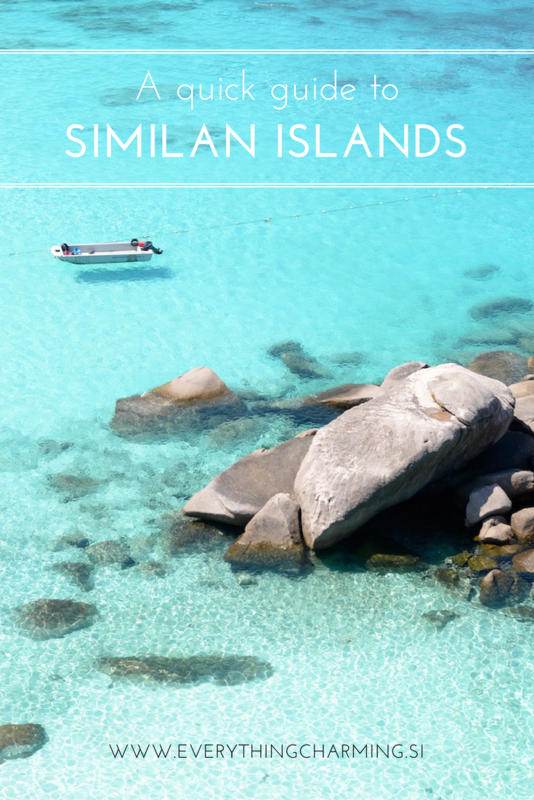 Nevertheless, Similand islands are amazing and you should definitely add it to your list! The most turquoise crystal clear water I ever saw, perfect white sand beaches and abundant marine life (even though we didn’t see a lot). 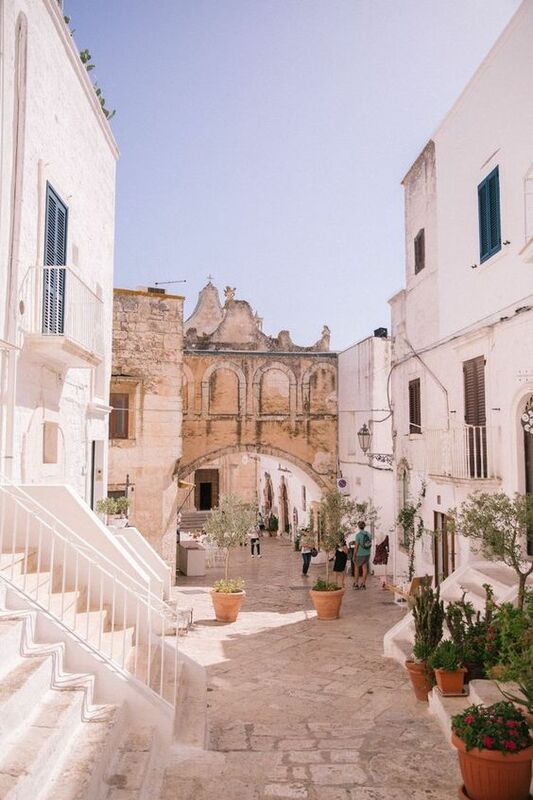 There was just one thing that we regretted, and that was not booking an overnight trip, so we could really enjoy and explore this amazing island, without the crowds. This is so sad to see but we’re glad you’re highlighting the problem and not glossing over it or taking an Instagram photo where you cut out the mass of crowds!